Okay ladies, any similar experiences? Ashley • Sun, Apr 05 2015 • Mommy to a sweet little man! 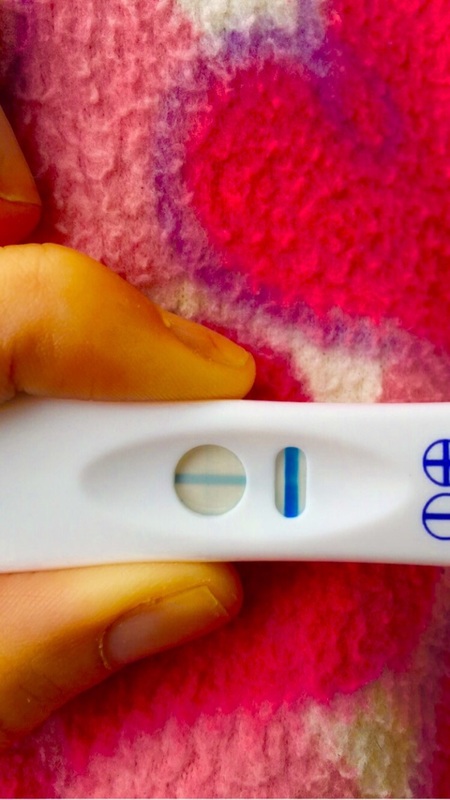 I asked a close friend of mine's mom (we're very close) about this faint line pregnancy test. If I am pregnant, I would be 6 weeks along. I've had multiple negative as well as multiple faint positives. I've tested for my thyroid and it's fine. I've had a weird period that was lighter than normal (but too heavy to be implantation bleeding I believe). Two weeks after the bleeding stopped im still having pregnancy symptoms. Do any of you ladies have a similar experience? The mother I asked said, "it's too faint to be positive. That's negative. And with it looking like that you don't want to be pregnant because that would be a miscarriage. Lines at 6 weeks are going to be dark. Do you just want to be pregnant?" Is all she said. We were not ttc until next year, so I don't believe I'm making this up in my mind. Could I just have a low hcg level? Or could a cyst be causing this? I'm so confused. I would really appreciate some opinions. Some of you might remember seeing this test from a post a few days ago. Sorry about the length! And thanks to all.